Little is actually known about the life of Sun Tzu. 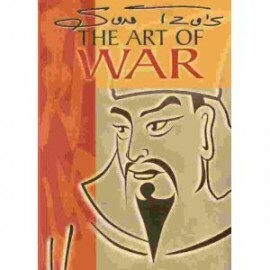 What is known though is that Sun Tzu after writing the Art of War was employed by the king of the state of Wu. Sun Tzu was given command of the king's army and under his direction the kingdom of Wu became the most powerful of the time. Sun Tzu's ' The Art of War ' lays out the rules for dealing succesfully with every competitive situation; whether it be war, work or politics. This text, originating in China some 2,500 years ago, was brought to the West by the French, where supposedly Napolean used the strategies within the book to conquer Europe. The first English translation appeared in 1905. Since that date a number of editions have been published as a consequence of great interest and demand. 128 Pages Paperback.